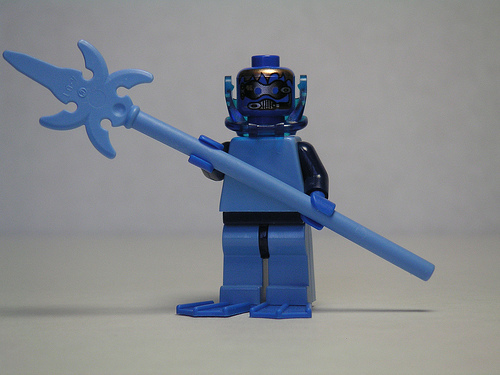 Mission: Ruler of the Deep. Origin: Evolved from diatomacious ooze, irradiated by the underwater atomic war that wiped out the Atlanteans 30,000 years ago. Now lives in the Mariana Trench. Superpowers and weapons: Azure Pike of Oceanographic Equality; controls the currents of all oceans; can withstand 1500 bars; ability to summon megalodon and plesiosaur for joyrides. dude that is one awsome hero i think it’s pretty cool no mat5ter what people say Rock ON!!!!!!!!!!!! !